RMG and Textiles industry has consistently been the key driver of Bangladesh export for the last 4 years, covering over 80% of the total export. Hence, the industry has earned the third position in apparel manufacturing globally and the leading position in South Asia. Due to the advantage of cheap labor and the market leader, China’s ‘Plus One’ policy, a door for bigger export market is now open; since many companies are looking to exploit opportunities in other emerging Asian markets. Bangladesh exports a wide range of apparel products in North America, Europe, Asian and countries in many other geographic regions. Generally, the export products can be categorized into two major categories- Woven and Knitwear. These two categories include a wide range of products but the key products which take up the majority of the product mix are denim, shirts, trousers, sweaters etc. China’s Plus One Policy: China’s increase in wage and inclination to move towards higher value added industries are expected to open up new opportunities for many Asian countries, since the businesses will be looking for alternatives. In Europe, Bangladesh has already captured two-third of low end manufacturing market previously occupied by China. 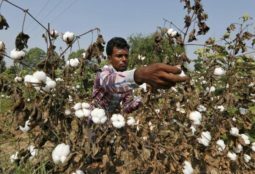 Quota Fee Access in EU: Due to the quota free access in EU, Bangladesh holds the position of top denim exporter in the EU countries with a market share of 21.18 percent. Bangladesh is expected to enjoy this advantage for the next six years unless it graduates from the LDC stage. Cheap and Skilled Workforce: Bangladesh has always experienced the advantage of having cheap yet skilled labor for manufacturing industry. This results in a cheaper cost of production and draws attention of companies across the globe. Geographical Advantage: Geographically, Bangladesh is located in an area with easy access to seaports, land ports and airports. Besides, Bangladesh’s inclusion in the historical OBOR initiative will help the country leverage its geographical advantage by drawing a large amount of investment. China exports the highest amount of apparel globally. The 28 countries in the European Union together holds the second position in terms of textile export. Bangladesh firmly stays in the second position in RMG export. China, alone holds 41 percent of the total market share. Bangladesh is in the second position with a market share of 6.4 percent. 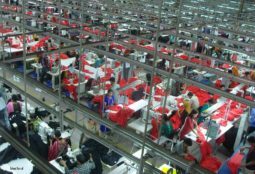 But since China is slowly moving away from garments industry, there is an opportunity to capture the market China occupies and over the years Bangladesh has the possibility take up a bigger portion of the global market if the key challenges are solved.